From her own confession, Émilie Andéol did not always have an easy career, yet she managed to overcome all the obstacles to win the 2016 Olympic grail. Against all odds, she covered herself with gold in Rio. 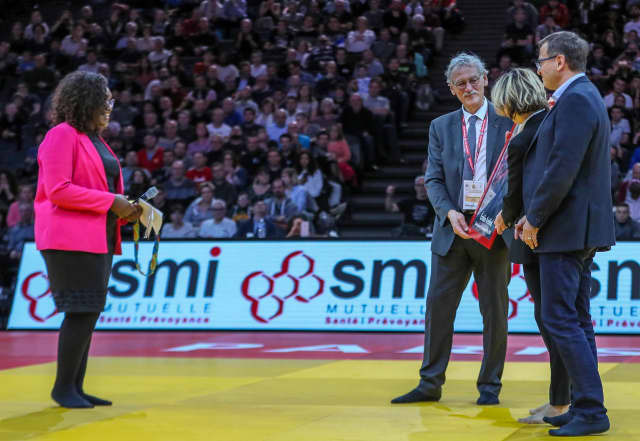 On the second day of the Grand Slam in Paris, the public paid a well-deserved tribute to the one who has now retired from sport and who also won a world bronze medal and two European titles over the past years. The young woman showed up on the central tatami of the Accord Hotel Arena by launching a 'Ca va, (I'm good). It's so strange'. While she fought for years on the same tatami, it is actually very strange for her, to be there, dressed in civilian clothes, alone in the middle of the arena, and to be celebrated. "I prepared a little speech because you know that I am emotional and I do not hide that I am still impressed to be here. 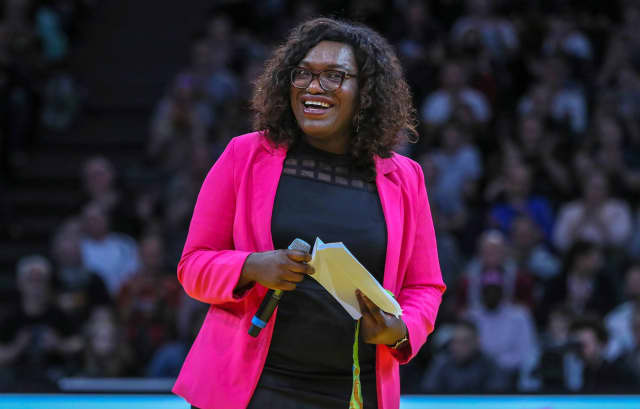 The five-year-old girl who started judo at the Marcheprime club in Gironde, would be proud of the Olympic Champion she became 25 years later. So I can not stand before you without mentioning my first judo club and my first teacher. You allowed me to live my best years at the highest level. I am proud. I would also like to extend a big thank you to all the members of the French federation, who since I did not fight, have also allowed me to meet young people from all over France. I also want to say thank you to my coaches for pushing me to become the best, with or without tears. We suffered together, but we also laughed a lot together. To my family I want to tell them that I love you very much. Finally, I would like to thank the audience. It is you who allow us to surpass ourselves. This Olympic medal and all the others are also your medals. Today, I do not say goodbye because we will continue to share our love of judo. It will simply be in another way." Jean-Luc Rougé, President of the French Judo Federation and Valérie Pécresse, President of the Region Ile de France, presented a framed picture to the champion before the audience sang a touching Marseillaise. See you soon Emilie. 18. Feb. 2019 / My wife and I have been married for 27 years.